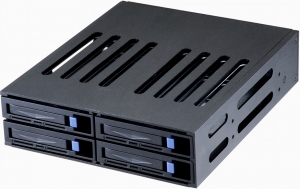 The new St-1042SAS backplane module is for four SAS or SATA SFF (2.5) disks in a single 5.25 bay! The perfect solution for a high performance disk system when space is limited. Copyright © 2006 Eastar Trading GmbH - Information in this document is subject to change without notice.